We are Boca Raton Football Club. 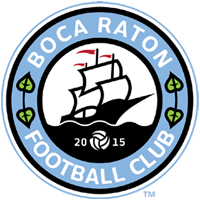 Boca Raton FC is a team that will begin playing in 2015 in the American Premier Soccer League, formally known as The National Adult League (NAL), which is recognized by the United States Soccer Federation and FIFA as being a fourth-tier league in the United States Soccer Pyramid. Soccer in the United States is growing rapidly, and here in Boca Raton, soccer has already been a part of the city’s fabric for many years with amazing High School teams, recreational leagues such as SABR, Greater Boca Youth Soccer Association, and teams such as Team Boca Soccer Club and Boca Raton Juniors Soccer Club. Boca Raton FC is the next step, we are Boca’s only Professional team and we look forward to working with all leagues in Boca Raton!